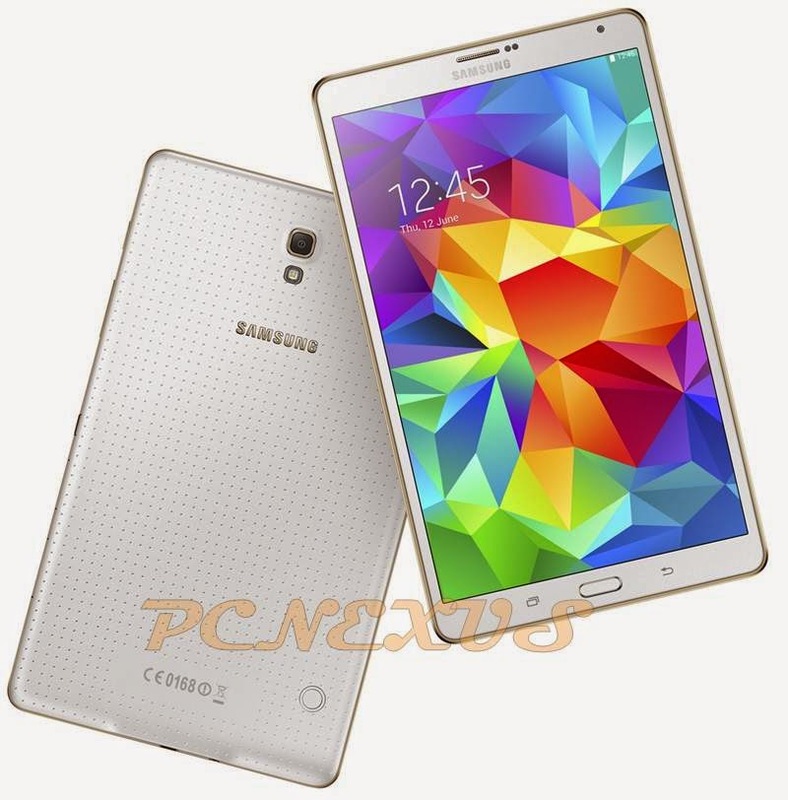 Samsung Galaxy Tab S 8.5 is the latest Samsung tablet that runs on android 4.4.2 kitkat. 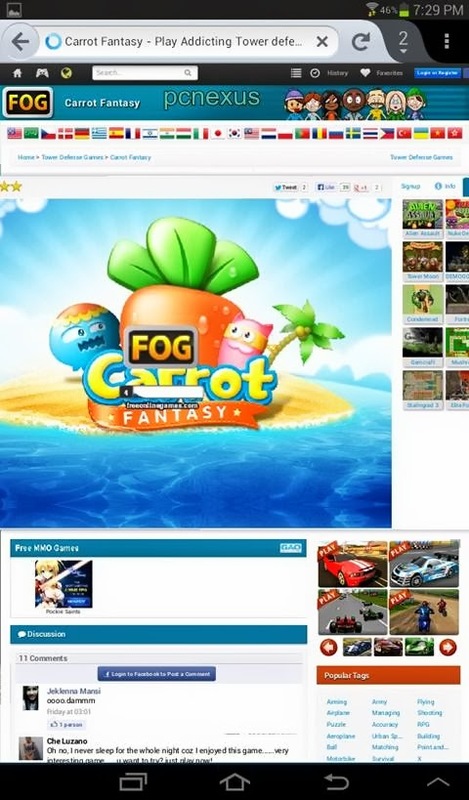 Installation of flash player is required when we watch flash videos online, watch live TV or play online flash games and watch Facebook videos. In this tutorial I will teach you to install adobe flash player 11.1 on Galaxy Tab S 8.5. Note : Before doing anything enable "Unknown Sources" on your phone otherwise you won't be able to install flash player apk. To do this goto Settings>Security>Unknown Sources check it. This tutorial will teach you to install flash player on Galaxy Tab S 8.5 LTE and can be applied on any model including AT&T, Verizon, Vodafone, T-Mobile and International. Before installation download the following files below. Note: I have given 2 links for flash player apk files so, download any apk which you want. If one doesn't work then download the other. We will cover the topic of flash player installation on your phone by using Mozilla firefox and UC browser HD. So lets start with UC browser. Note : Galaxy Tab S 8.5 LTE default android browser doesn't fully support flash plugin. 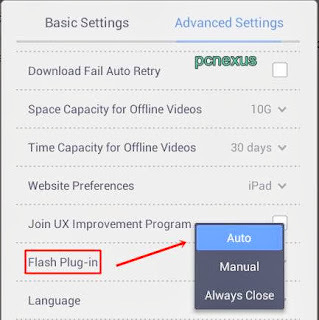 So you will see a missing plugin like a blue box in place of flash content on most websites. 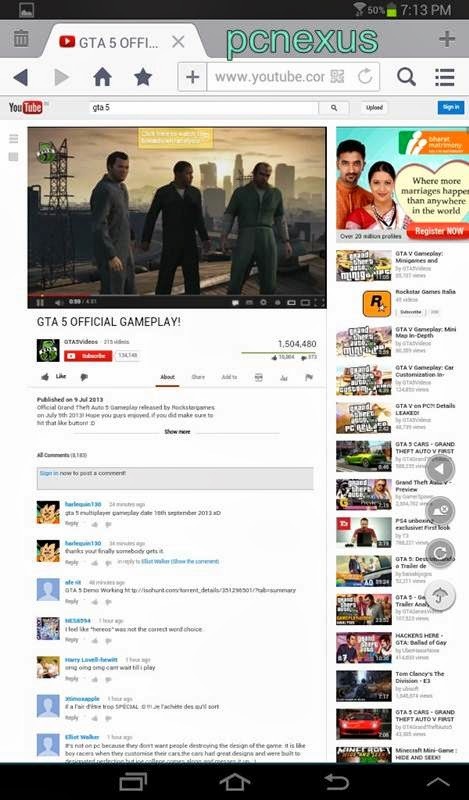 However sites like YouTube will work without any problem. Download and install UC browser HD from above link. If installation is blocked then go to Settings>Security>check Unknown Sources. Install adobe flash player for Galaxy Tab S 8.5. Now open UC browser HD and click the menu button next to search button on top right and choose 'Settings'. Now choose 'Advanced Settings' and click 'Flash Plug-in' then choose 'Auto'. Now go to Youtube.If mobile version opens then open it in desktop mode then click any video on youtube.You will see that video will play in the browser itself and not in the youtube android app. Download and install Mozilla firefox from the playstore link given above. After installing open it and goto settings>content>plugins>enabled. Now goto any flash website you will be able to view flash in Mozilla firefox on Galaxy Tab S 8.5 and won’t see any blue lego cube in place of plugin. When you see "Tap to activate plugin", tap it to start playing flash videos online. You can also watch live videos. Now you have learnt how to install flash player on Galaxy Tab S 8.5 by using two browsers. This adobe flash player installed on your phone doesn't guarantee full compatibility with all websites running flash content. But it will work with most websites and you can Play Facebook videos In Galaxy S.
You have successfully installed flash player 11.1 on Galaxy Tab S 8.5 LTE with android 4.4 Kitkat. Please check your email for the verification link. Click on the verification link to start your email newsletter subscription.